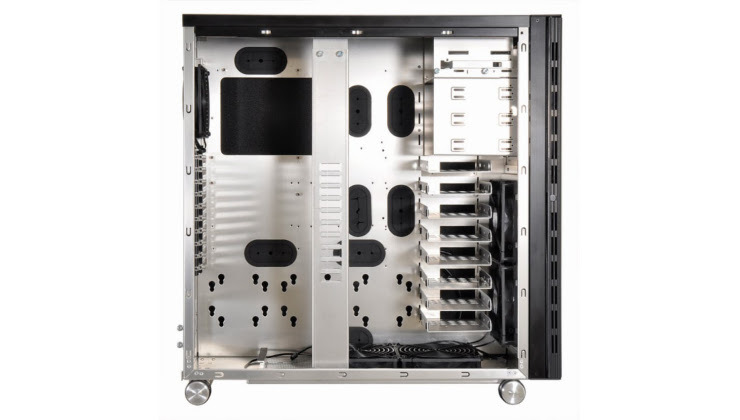 Lian-Li Industrial Co. Ltd today announces the release of a new brushed aluminum full tower chassis - PC-V2130. The update of the popular PC-V2120, the PC-V2130 improves on the design by adding extensive water cooling support, a more versatile HDD system, enhanced cable management. At 94L, the PC-V2130 can handle any hardware PC enthusiast desire. Motherboards up to HPTX are supported. Up to 11 3.5"/2.5" drives can be mounted behind the motherboard tray and on the individually removable hard drive bays. An included removable bracket allows for 4 more 2.5" drives to be installed. 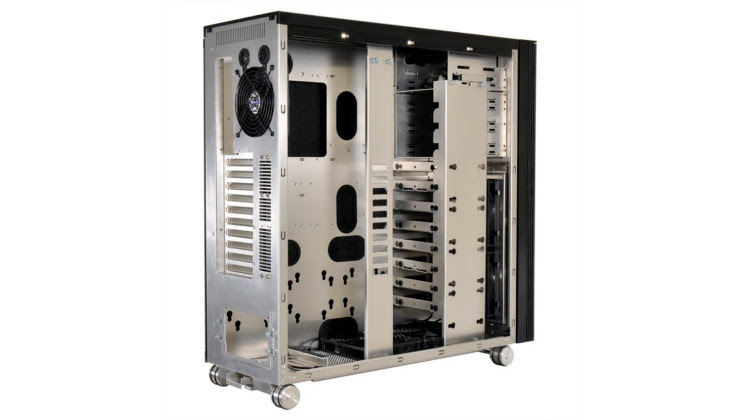 The chassis also features a modular 5.25" cage that gives builders the flexibility to use the space as they see fit. A tool-lessly removable top panel allows for 240/280mm radiators to be easily installed. Two more 280mm radiators can be installed at the front and bottom of the chassis, respectively. Two grommeted holes above the rear 120mm exhaust fan allows for more water cooling support. 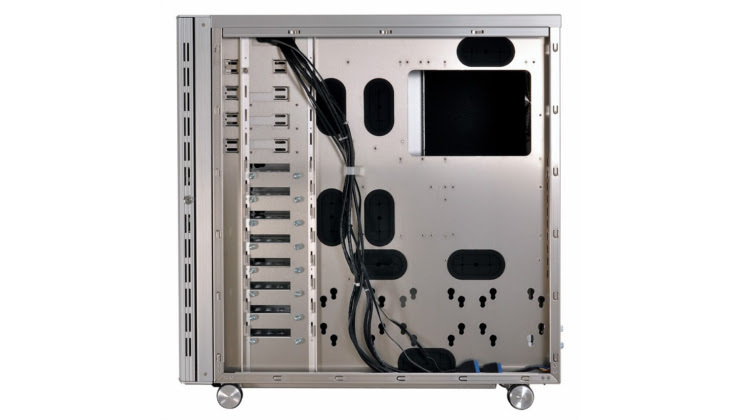 The PC-V2130 features 8 grommeted holes for simplified cable management. 31mm (1.2") behind the motherboard tray gives builders plenty of space to work with. The PC-V2130 is stacked full of high-end tool-less features to ease installations. On the inside of the chassis, Lian Li's tool-less PCI slot mounting mechanism allows for simple expansion card installation. On the outside, the entire front bezel can be removed with just the removal of a couple of thumbscrews - enabling easy access to the 2 front 140mm fan dust filters. The side panels can be taken off with just the press of two latches. The wheels design enables easy moving of a fully loaded system. A locking mechanism on the rear wheels prevents the chassis moving when set in place. The I/O panel is located on the top of the PC-V2130, and is hidden by a stealth cover when not in use. Connectivity includes four USB 3.0 ports and HD audio connections. The PC-V2130 will be available in black PC-V2130A (Silver), PC-V2130B (Black) and PC-V2130X (Internal Black with Window) in North America for the suggested retail price of PC-V2130A / PC-V2130B USD 499 ; PC-V2130X USD569.